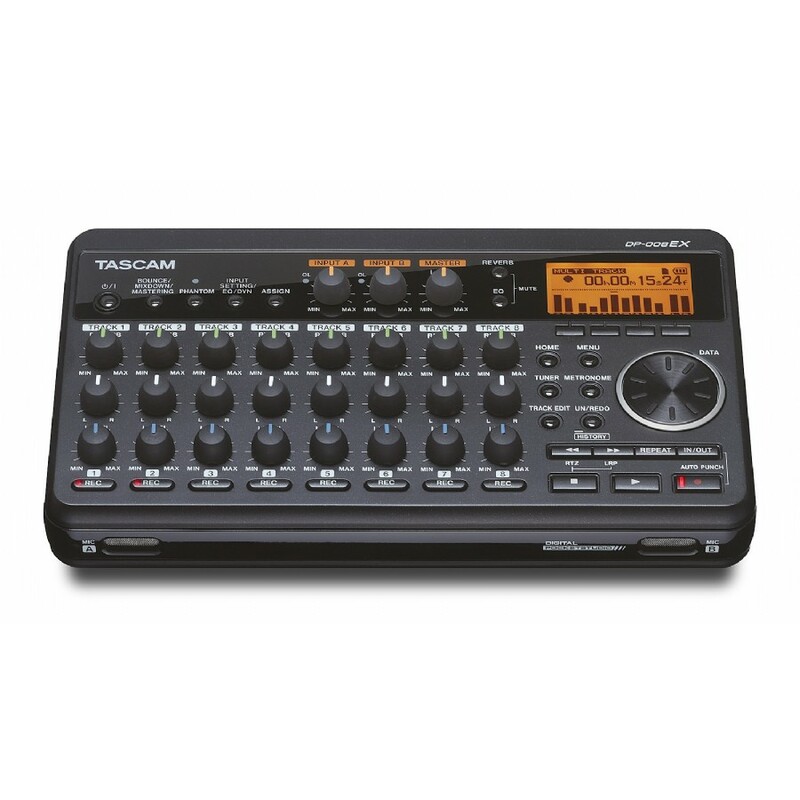 The DP-008EX offers professional recording with plentiful features in a compact package. 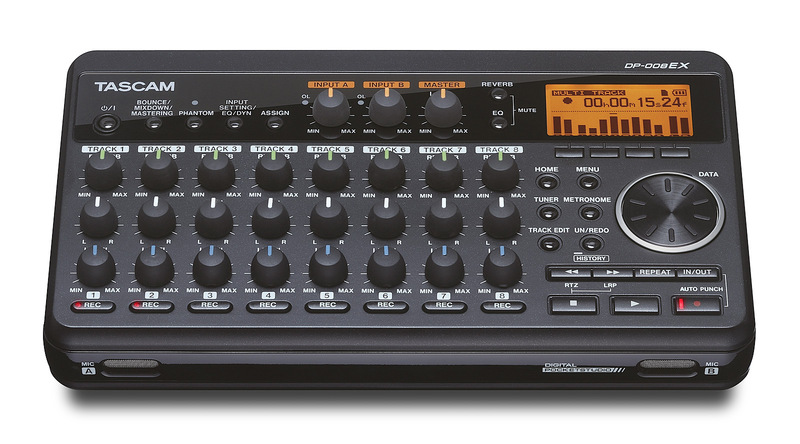 With two condenser microphones directly in the front, this compact battery-powered multitrack recorder is optimally designed for on-the-spot recording. Record vocals or acoustic guitar anytime without the need for extra equipment or set-up time. With the analogue feel of dedicated control knobs, built-in chromatic tuner and metronome and an ultra lightweight design, this Pocketstudio is one of the simplest to use songwriting scratchpad on the market. The DP-008EX has two XLR/TS inputs with phantom power for condenser microphones to connect external microphones, an electric-acoustic guitar or a line-level device like a synthesizer. With an optional conversion cable a tablet device like an iPad will be able to connect. Recordings are written to widely available SD/SDHC card media (2GB card included). All song ideas can be transferred via USB 2.0 or SD card readers to and from the unit at any point in the recording process. Numerous eiting functions are also available. The DP-008EX is designed with insert effects for all input channels including EQ, compressor, de-esser and exciter. Also, six different types of reverb are available to help tailor your sounds to any song style. Easily set the reverb level with dedicated control knobs for each track. And there are also mastering effects like 2-band EQ, multi-band compressor and normalization to provide high-quality master-like file creation. You can master your files manually or use the auto-analysis mastering function. For elongated battery life, the DP-008EX can connect directly to Tascam’s external battery pack (BP-6AA) via USB.